International Draughts Federation (IDF) in accordance with the Calendar of competitions in 2018 held from 17th to 25th November 2018 in Tbilisi (Georgia) Final of World Cup 2018 in draughts-64 – International competition “Georgia-2018”. Competitions were held in three programs: Blitz, Rapid and Classic. International grandmaster Andrei Valiuk (Belarus) won Blitz and Rapid program. International grandmaster Arunas Norvaishas (Lithuania) won Classic program. See results. 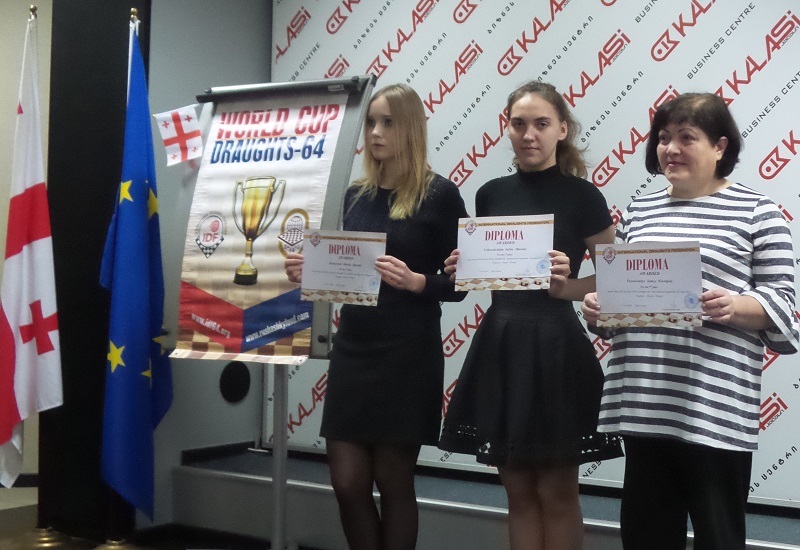 Results of the overall standings of the World Cup 2018 were summarized and awarding the winners was held at the closing ceremony of the Final of World Cup for all categories in accordance with the Regulations of the World Cup 2018. 24-11-2018 The classic program of the 2018 World Cup Final has been completed. The winner of the classic program with a score of 11 points became international grandmaster Arunas Norvaisas (Lithuania). 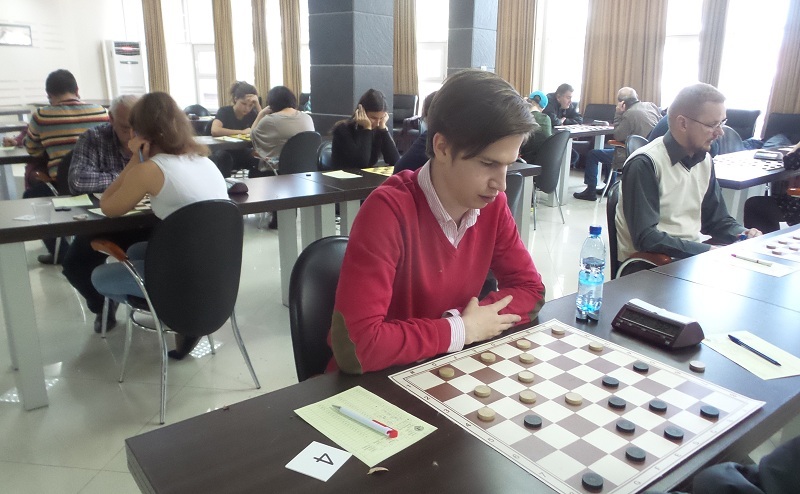 The second place with a score of 10 points was taken by the international grandmaster Andrei Valiuk (Belarus). In third place with a score of 10 points and the worst coefficient is the international grandmaster Andrius Kibartas (Lithuania). Iuliia Vekovshchina (Russia) showed the best result among women. Georgian player Tsivtsivadze Iamze took second place. IDF master Maria Kriskevich (Russia) is third. 21-11-2018 In the evening, the participants of the 2018 World Cup Final attended the international exhibition of Victoria Valiuk paintings, organized in a private gallery of Tbilisi. 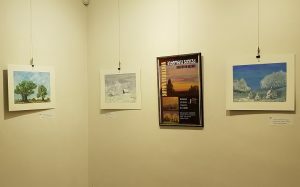 21-11-2018 The classic program of the 2018 World Cup Final started. Competitions are held on the Swiss system in 7 rounds, on the system of micro-matches from 2 games with a draw of moves and positions according to the official table, time control is 20 ‘+ 10 “. 20-11-2018 Today on the tournament is free day. 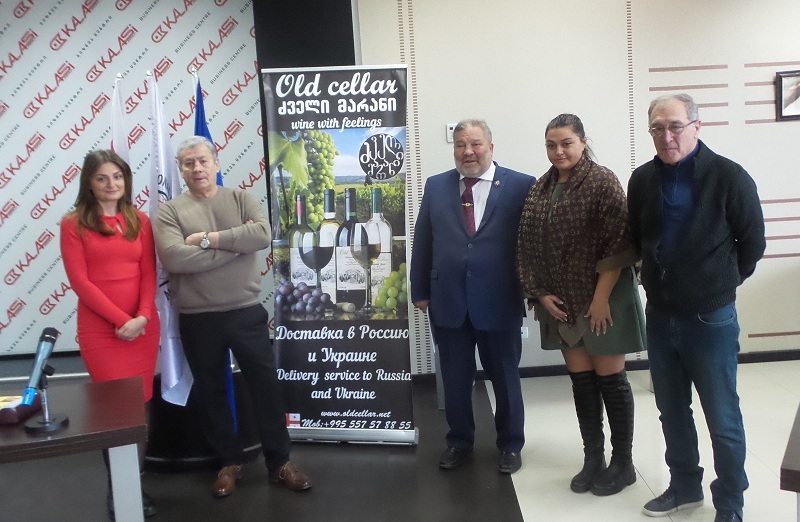 The participants went on various excursions in Tbilisi and other interest places in Georgia. In the evening, the participants of the tournament were invited to the old wine cellar of the 17th century, where the Georgian team played in draughts with the team of the world. 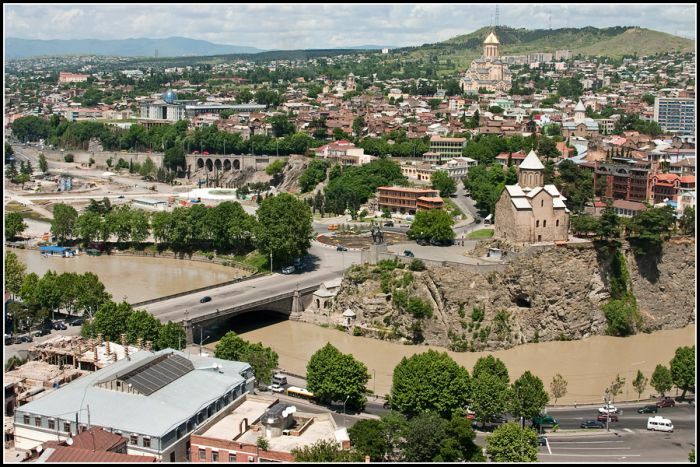 The event was covered in the press and on television, and was attended by many famous people of Tbilisi. 19-11-2018 Rapid is held today. Competitions are held on the Swiss system in 7 rounds, on the system of micro-matches from 2 games with a draw of moves and positions according to the official table, time control 7’+ 3″. See current results. The winner of the Rapid program with a score of 12 points became the international grandmaster Andrei Valiuk (Belarus). 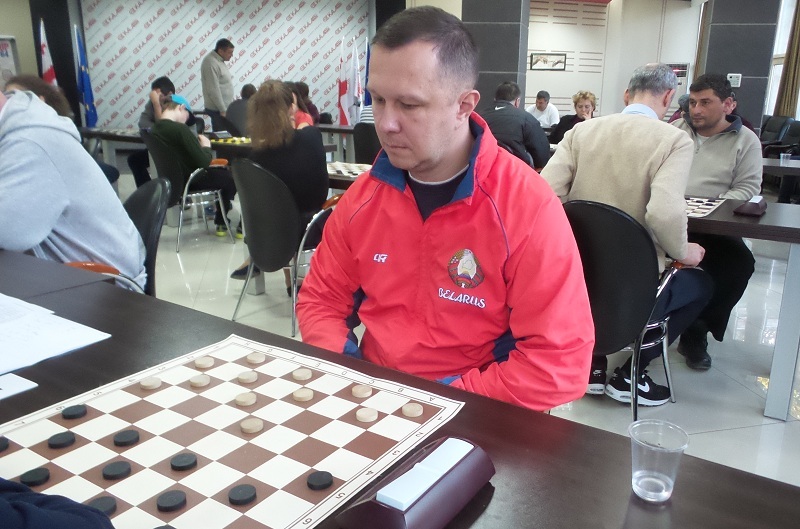 11 points and second place have international grandmaster Arunas Norvaishas (Lithuania). In third place with a score of 10 points and the best coefficient is international master Andrei Gnelitsky (Russia). 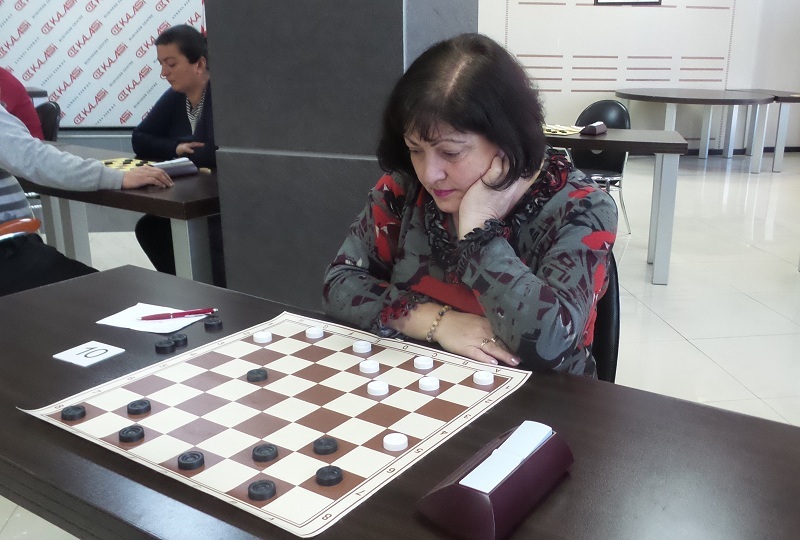 National master Iamze Tsivtsivadze (Georgia) was the best among women. She scored 9 points and has finished as high 8th place in the tournament. 18-11-2018 After the opening ceremony, the Blitz program of the 2018 World Cup Final was held. Competitions were held on the Swiss system in 9 rounds, on the system of micro-matches from 2 games with a draw of moves and positions according to the official table, time control 3’+ 2″. 31 players from 8 countries took part in the competition. The winner of the Blitz program with a score of 16 points out of 18! 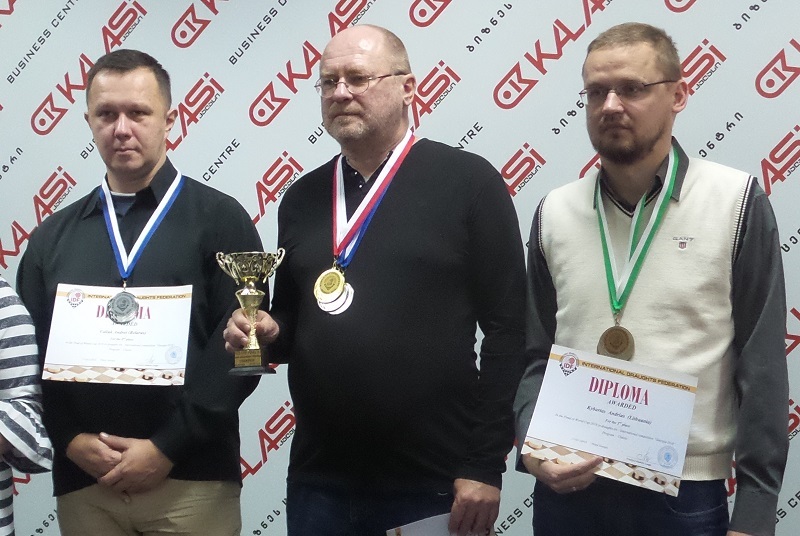 became international grandmaster Andrei Valiuk (Belarus). The international grandmaster Arunas Norvaishas (Lithuania) with the result of 15 points took 2nd place. In third place with a score of 14 points is international grandmaster Andrius Kybartas (Lithuania). IDF master Maria Kriskevich (Russia) became the best among women. 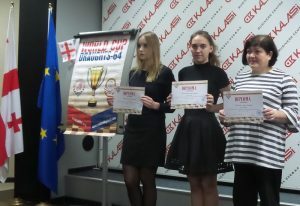 18-11-2018 Final of World Cup 2018 in draughts-64 – International competition “Georgia-2018” started today. The final, 6th stage of the World Cup, was attended by the winners and prize-winners of world championships and World Cup stages – international grandmasters: 2015 world champion and 2018 European champion Arunas Norvaisas (Lithuania), former world champions, world and European championship winners Andrei Valiuk (Belarus) and Andrius Kybartas (Lithuania), winners of the World Cup stages and major international tournaments, international masters Andrei Gnelitskiy and Dmitrii Melnikov, IDF masters Maria Kriskevich and Anna Filipenko (Russia), winners of national championships Nshan Alaverdyan and Davit Poghosyan (Armenia), the strongest Georgian players – Levan Kiknadze, Alexander Beruashvili, Djumber Berishvili. 5 previous stages were held in Europe, Asia and America – in Jamaica, Uzbekistan, Italy, Estonia and Portugal. Opening of the competition was held at 12.00. President of the International Draughts Federation (IDF) Vladimir Langin, leaders of the United Draughts Federation of Georgia Djumber Berishvili and Zurab Kandelaki, invited guests, including the great Georgian football players: Honored Master of Sports of the USSR, one of the most virtuoso footballers of the USSR and Europe, football player of “Dinamo”, Tbilisi and member of the USSR national team Vladimir Gutsaev, as well as 1972 European vice-champion and bronze medalist of the 1972 Olympic Games, head coach of the team “Torpedo”, Kutaisi Revaz Dzodzuashvili. Vladimir Langin and Vladimir Gutsaev gave a start the World Cup Final by making symbolic first moves. – Final of World Cup 2018 in draughts-64 – International competition “Georgia-2018”, 17th – 25th November 2018. 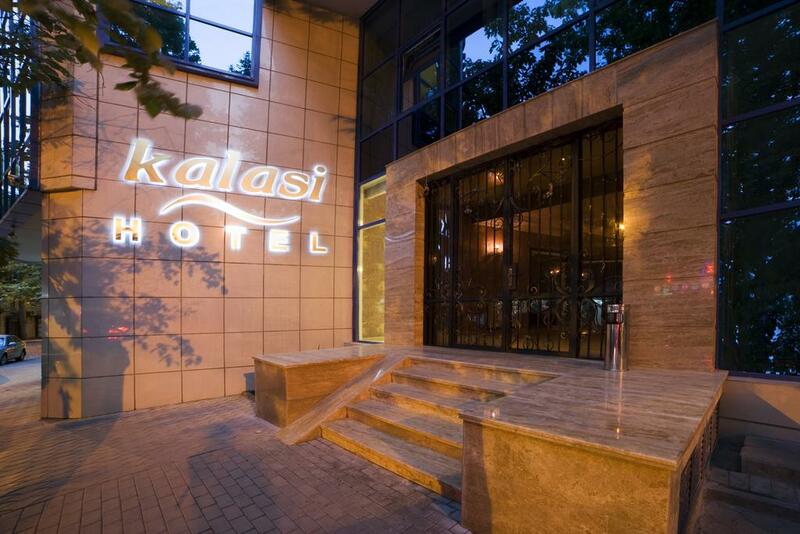 Venue and accommodation of participants is in the Hotel Kalasi at Kote Afkhazi str. 25, 0105, Tbilisi (Georgia). Competitions will be held in three programs: Blitz, Rapid and Classic. All programs will be held according to the international/Russian version of draughts-64. Tournament fee is 50 euros, for players from Georgia tournament fee is 30 euros. 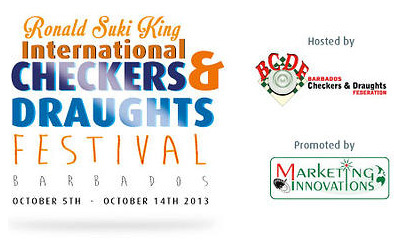 Participants who paid a tournament fee are allowed to participate in all three programs. Results and awarding the winners of the overall standings of the World Cup 2018 will be announced at the closing ceremony of the Final of World Cup for all categories in accordance with the Regulations of the World Cup 2018. Applications for participation in competition and booking accommodation must be submitted to the IDF office not later than 15th October 2018.